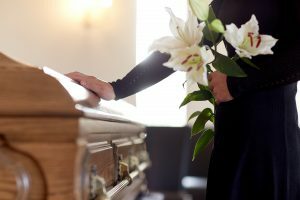 In an important decision for Massachusetts wrongful death claims, a federal appellate court asked the Massachusetts Supreme Court to consider whether wrongful death claims brought by the decedent’s heirs can be bound by an arbitration agreement signed by the decedent or by someone else on the decedent’s behalf. After her mother’s death, the daughter brought a wrongful death claim as a personal representative of her mother’s estate. 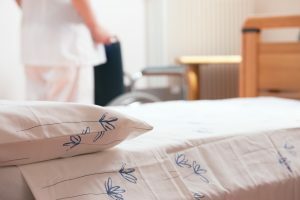 The nursing home sought to compel arbitration of the wrongful death claim brought by the representative of a resident who died at the facility. The daughter argued that her wrongful death claims were not subject to the agreement to arbitrate because a beneficiary’s claims are independent of the decedent’s claims. The nursing home argued that beneficiaries of wrongful death claims in Massachusetts are derivative of the decedent’s wrongful death claim, and therefore, the agreement to arbitrate is binding on the derivatives. 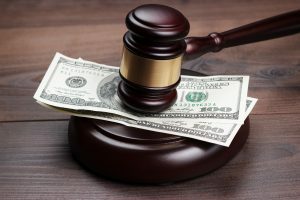 A Massachusetts appeals court recently considered a case in which a trial judge reduced a jury’s damages award from over $32 million to just $20 million. According to the court’s opinion, a woman was hit and killed by a car that had sped through an intersection and into the front of a store. The woman’s husband sued the store, alleging that the store was both negligent and grossly negligent. Specifically, the husband claimed that because the store had experienced hundreds of “car strikes” at its stores, it should have installed protective barriers along the walkway and at the entrance to the parking lot. The case proceeded to trial, and the jury found that the store was negligent, awarding the plaintiff over $32 million in damages. Following a defense motion for remittitur, the judge determined that the award was excessive when compared to the evidence, and ordered a new trial on damages unless the plaintiff accepted a reduced compensatory damages award of $20 million. The plaintiff accepted the reduced award, and then appealed. The police are supposed to serve and protect citizens, but sometimes things can go wrong. In this tragic case, a Massachusetts State Trooper shot and killed a man who was threatening to kill him. Representatives of the deceased man brought this wrongful death suit. In certain circumstances, citizens may be entitled to damages from law enforcement after a wrongful death or other tort actions. Your experienced Massachusetts wrongful death attorney can help you to understand your rights in this regard. The defendants moved for summary judgment. Summary judgment motions will be granted when there is no issue of material fact between the parties. In other words, both sides agree on the basic facts. For summary judgment to be granted, the moving party must also show that even when the facts are looked at in the light most favorable to the other party, the moving party is still entitled to judgment as a matter of law. In this case, both sides agree on the essential facts of the case. A man was driving erratically when he was pulled over by a trooper. Unbeknownst to the police, he suffered from severe mental illness. Another trooper came and the man began to lunge at him with a pen and threatened to kill him. After pepper spraying the plaintiff twice without slowing him down, the plaintiff continued to lunge at the trooper. Another trooper pulled up and saw the plaintiff with something in his hand lunging at the officer. The trooper that came on the scene shot the man twice and he died from his injuries at the hospital. Many people in the U.S. depend on lifesaving medications. When those medications are unavailable or inaccessible, it can lead to severe consequences, up to and including death. That is what happened in this tragic case heard by the Massachusetts Supreme Court. If you or a loved one has been injured or killed by the actions of someone else – whether due to a car accident, slip and fall, medical malpractice, or any other kind of wrongdoing – you should contact an experienced Massachusetts personal injury attorney to see if you are able to hold the wrongdoers accountable under Massachusetts law. The plaintiff in this case was 18 when she had her first seizure. She was brought to the hospital and given Topamax, an anti-seizure medication. She was instructed to continue taking the Tomamax. She filled her initial prescription at her pharmacy with no issues. 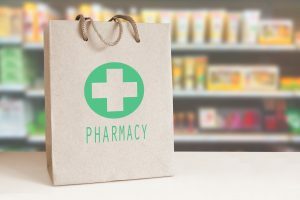 When she tried to get a refill of the prescription, she was told it was too early and that in the future her insurance provider would require an authorization form to be filled out by her prescriber. The father of a son who committed suicide brought this wrongful death action against the college he was attending at the time. The father alleged that the school had a duty to prevent his son’s suicide. However, the Supreme Judicial Court of Massachusetts held that the school had no duty to prevent the suicide of his son. This tragic case involves a 25 year old graduate student who was living off campus while studying marketing. A couple of years before his death he sought help with test taking from his academic advisors. His advisor recommended that he take advantage of the services for students with disabilities, but he declined. He was also referred to the mental health and counseling services on campus. The Massachusetts Supreme Court recently decided a case about the duty of care that psychiatrists and psychiatric hospitals have to people who may be harmed by current or former patients. Specifically, in this case a man was involuntarily committed to a psychiatric hospital after acting bizarrely and making threats of violence toward family members. After he was released from the hospital he murdered his neighbor. This claim was brought as a wrongful death claim by the family of the neighbor. The neighbor’s family alleged that the hospital and the man’s psychiatrist were liable for wrongful death by negligently letting the man leave the hospital. If you have been injured or a loved one was killed due to the acts of another, you should contact a knowledgeable Massachusetts wrongful death attorney as soon as possible. You may be able to hold the wrongdoers accountable for their actions. A six-figure jury verdict against the manufacturer of an adhesive product called FM-37 was recently set aside by the Connecticut Supreme Court. 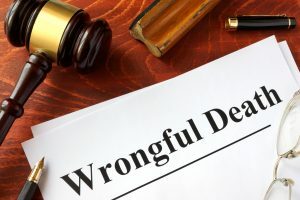 The plaintiff sought to recover damages under the Connecticut’s Product Liability Act (CPLA) for the wrongful death of the decedent, claiming negligence and strict liability. The plaintiff contended that the decedent was exposed during his employment to an asbestos-containing product (FM-37) manufactured by the defendant and that the exposure contributed to his contraction of deadly mesothelioma. This type of theory is also relevant to cases brought by Massachusetts wrongful death plaintiffs.Malignant mesothelioma is a rare cancer that usually forms on the protective lining of the lungs and abdomen. The disease has no definitive cure, but advancements in conventional treatments along with emerging therapies are helping patients improve their survival rate. Incidence rates still hover around 3,000 new cases each year in the U.S., according to a 2017 report from the Centers for Disease Control and Prevention. However, scientific research and increased awareness are leading to earlier diagnoses and improved treatments. Exposure to asbestos remains the leading cause of mesothelioma. Asbestos, a mineral fiber, can release toxic chemicals in the air if improperly handled. Asbestos litigation has been going on for decades, ever since the substance was linked to mesothelioma. Individuals affected by this disease have sued companies that made products containing asbestos. Last month, for example, a Massachusetts developer agreed to pay $100,000 to settle a lawsuit over accusations that workers improperly removed and disposed of asbestos. According to the lawsuit, unlicensed workers were allowed to remove materials containing asbestos without taking proper safety precautions. The lawsuit also alleged the company threw away unsealed asbestos near apartment buildings. Also last month, the Montana Supreme Court announced that hundreds of asbestos cases could proceed through a special “Asbestos Claims Court.” The claims can include personal injuries or wrongful deaths arising out of an asbestos-related disease alleged to come from vermiculite mining, processing, or the transfer, storage, installation, or removal of a product containing vermiculite. The formation of the court was approved by the Montana legislature in 2001. A Massachusetts farmer owned a dump truck for hauling soil. One morning in April 2009, he was seen at his farm working on the truck. Later that day, he was found dead underneath it, with his clothing caught up in a spinning universal joint (U-joint) that was part of the mechanical system used to tilt the truck. The medical examiner identified the cause of death as accidental asphyxiation.As an executrix of his estate, his widow filed a Massachusetts wrongful death action. She sued, among others, Mack Trucks, which manufactured the original version of the truck, and Parker-Hannifin Corporation, which had acquired the assets of Dana Corporation. Dana manufactured a piece of equipment known as a “power take-off” (PTO), which was another part of the system used to tilt the dump body of the truck. In two separate summary judgment rulings, different superior court judges ruled in favor of each of these defendants. The Massachusetts Court of Appeals affirmed the judgments. On appeal, the plaintiff did not argue that the incomplete vehicle that Mack Trucks sold, or the PTO that Dana sold, contained any design defect. Instead, the gravamen of her claims was that the manufacturers had a duty to warn installers and end users about the dangers posed by the use of unguarded auxiliary drive shafts and U-joints because such future uses were foreseeable. After all, she argued, the transmission of the truck was designed so that it could accept a PTO, and PTOs could be operated to power an auxiliary drive shaft. In fact, the plaintiff maintained that the foreseeability of the risks posed by exposed auxiliary drive shafts and U-joints was best demonstrated by the fact that Mack Trucks and Dana each provided some warning about them (warnings that the plaintiff claimed ultimately were inadequate). In the alternative, the plaintiff argued that even if the defendants did not face an independent legal duty to warn about such dangers, they voluntarily assumed such a duty when they provided their warnings about such uses. A $20 million federal lawsuit has been filed against the NFL and the New England Patriots on behalf of the former fiancee and daughter of Aaron Hernandez, who committed suicide this year while serving a murder conviction. The lawsuit was filed the same day it was revealed that Hernandez had suffered from chronic traumatic encephalopathy (CTE).Doctors at Boston University studied the brain of the former Patriots tight end and determined that Hernandez had Stage 3 CTE, an advanced form of the neurodegenerative disease. CTE, which can only currently be diagnosed in an autopsy, can be caused by repeated head trauma and leads to symptoms like violent mood swings, depression, and other cognitive difficulties. Hernandez’s CTE was allegedly the most severe case of CTE that the Boston University researchers had ever seen for someone of his age. Advanced stage 3 of CTE is usually found in the median age of 67-year-old men. Beginning in 2005, a forensic pathologist and neuropathologist found CTE in the brains of diseased NFL players Mike Webster, Terry Long, Andre Waters, Justin Strzelczyk, and Tom McHale. Between 2008 and 2010, the bodies of twelve former professional American football players were diagnosed with CTE postmortem by Dr. Ann McKee. In 2012, roughly four thousand former NFL players joined civil lawsuits against the League, seeking damages over the League’s failure to protect players from concussions. On August 30, 2013, the NFL reached a $765 million settlement with the former NFL players over their head injuries. According to the settlement, players whose careers concluded before July 2014 gave up the right to sue the NFL unless they opted out. Hernandez’s last NFL game was in January 2013.